Fall is finally here in Southern California, at least in the evening hours that is. We are still enjoying upper 70's low 80's during the day but oh those evenings are chilly. I like it. 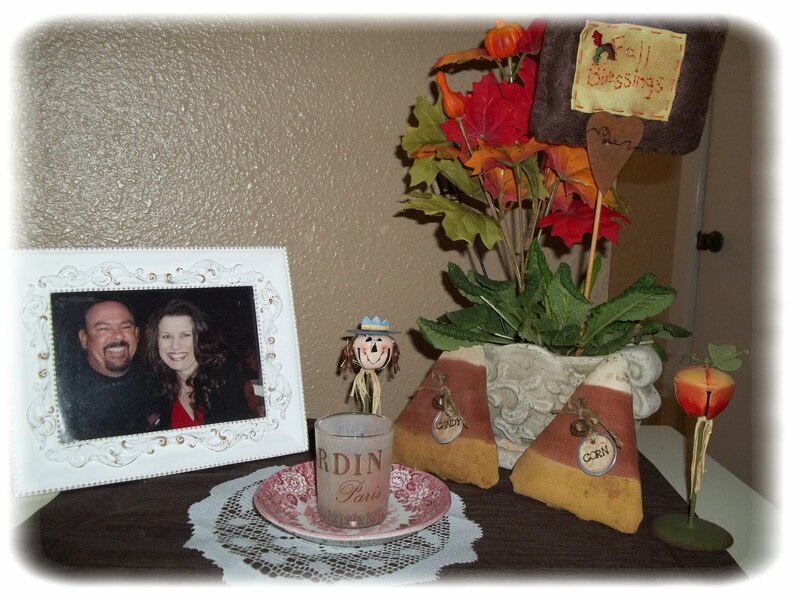 I put my fall decor out at the beginning of October and enjoy it until the day after Thanksgiving. I don't shop Black Friday as I would rather be home cleaning and getting ready for Christmas. I am such a home-body. 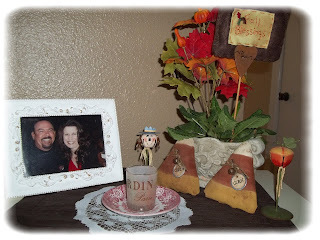 I think I am most happy in my home decorating, baking and adding loving touches to make my family feel special. Found this red enameled jug with lid and ladle at a little antique shop the other day. Marked $8.00 and I thought that was a sweet deal. 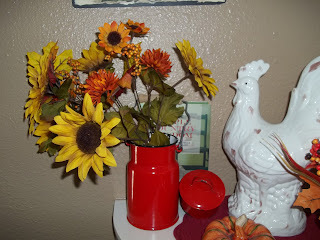 I thought it would hold some fall sunflowers and look so cute next to my cream colored rooster. Whats fall without "Candy Corn"
Autumn is my favorite time of year. 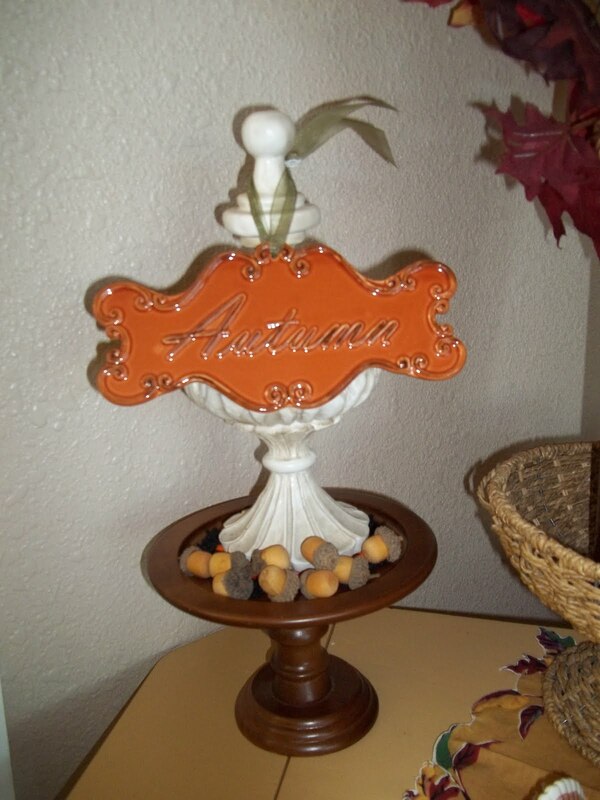 I found the wooden pedestal at the Goodwill for $1.50 wow! 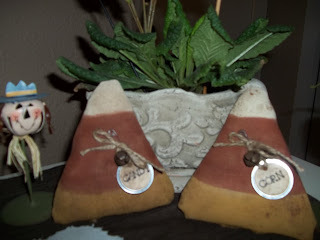 I put some faux acorns on it and well, it just makes me smile! 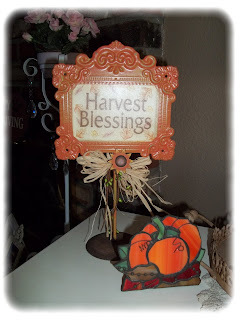 Harvest Blessings to you and thank you for visiting my blog. I appreciate you everyday of the year. Oh I love that little round shelf in the corner. 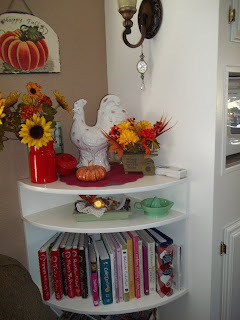 All your fall vignettes are darling as usual. I am the same about black Friday. I like to stay home too and putter just like you. Fall is my favorite season. I'll be putting up a little Thanksgiving next week..wow...the days just fly by! What a beautiful home you have Debbie. It's nice to meet a fellow collector!